A mini boom for Scottish fishing may be coming to an end, an industry chief has warned. 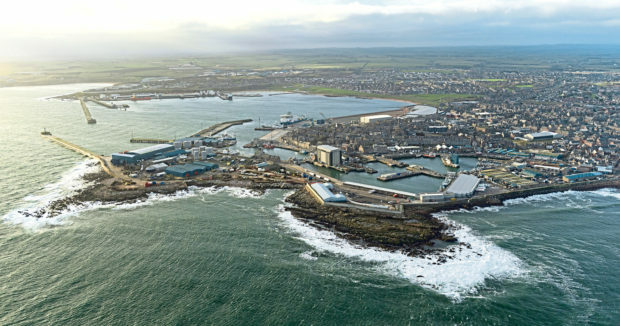 Scottish White Fish Producers’ Association (SWFPA) chief executive Mike Park said that after a few boom years on the back of healthier stocks, the North Sea fleet is now in danger of slipping into reverse gear. EU fisheries ministers at the December Fisheries Council in Brussels, which started yesterday, are expected to rubber-stamp a 33% cut in the UK’s North Sea cod quota. Scientists wanted a much bigger reduction after finding evidence of “slow recolonisation” in areas where cod subpopulations are depleted. Mr Park, who leads the largest fishing association in Europe, said it was vital to “get it right” in setting annual quotas. A delicate balance has to be struck between allowing vessels to catch as much as possible without putting the industry’s future at risk, he said. Setting quotas too high will put too much pressure on the stock, while too low a catch limit could accelerate the trend for cod becoming a “choke” species for vessels trying their best to comply with the EU-wide ban on fish discards, he added. The discard ban requires fishers to land nearly all of their catch. Boats have no option other than to head for port when their holds are full, even if much of their catch is either undersized or over quota. Mr Park, who was made an OBE earlier this year for his services to marine conservation, said: “It’s right that they should be reducing the North Sea cod quota, for mortality reasons. “The protection of stocks is what drives everything we do in this sector. “There is a threat facing us – we are on the cusp after two or three boom years – and we also have lots of new boats coming into the system. Mr Park and other Scottish industry representatives are in Brussels seeking help for the fleet in managing the discard ban, which creates major difficulties for mixed white-fish operations. The UK’s Fisheries Council negotiating team was led yesterday by Department for Environment, Food and Rural Affairs (Defra) Under Secretary Lord Gardiner of Kimble. UK Fishing Minister George Eustice was not around as the talks got under way – he was busy handling the passage of the Fisheries Bill through Parliament – but he hopes to attend today. Defra rejected repeated requests from The Press and Journal for either Mr Eustice or Lord Gardiner to spell out UK Government priorites for the Fisheries Council. Banffshire and Buchan Coast MSP Stewart Stevenson was unimpressed by Mr Eustice’s decision to stay in London yesterday. Overseeing Scotland’s interests at the talks, which continue today and possibly tomorrow, is Fisheries Secretary Fergus Ewing. Mr Ewing is looking for a “workable solution” for west of Scotland cod and whiting – both facing hefty quota cuts.